The day after Christmas we usually head over to my in laws place in Lake City for another family meal. 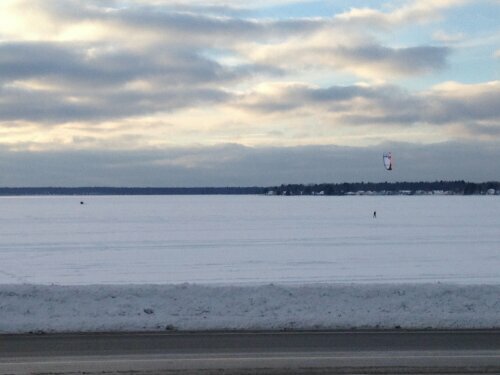 This year being so cold I knew Lake Missaukee would be frozen over so I brought my kite and snowboard and hoped for some wind. We ate dinner at 2:00 PM and at 3:00 on a full stomach I headed out onto the ice. The ice near shore was a little slushy and my feet broke through the top layer. I didn’t have a way to check the overall thickness but there were plenty of people on snowmobiles and in shanties all over the lake so I kept going. A hundred yards off shore the ice was very solid and that’s where I set up. Being alone I self launched the kite and then set the kite on the edge of the wind window while I strapped on my snowboard. The wind was pretty light, I’m guessing only 15 knots max but it was plenty enough to get me going. The wind was out of the West and was steady. There was roughly five inches of powder on top of the ice. 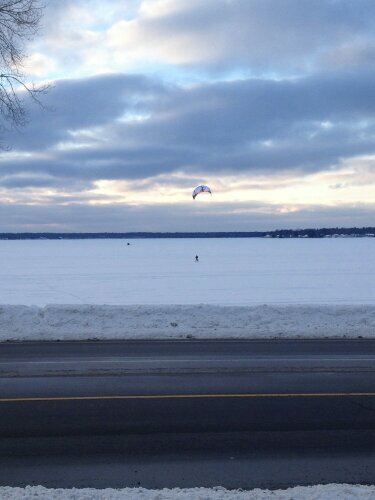 I’ve only gone snowkiting a few times and this was the first time I’ve had steady wind and nice snow. I shot up wind easily but there wasn’t enough wind for me to jump. 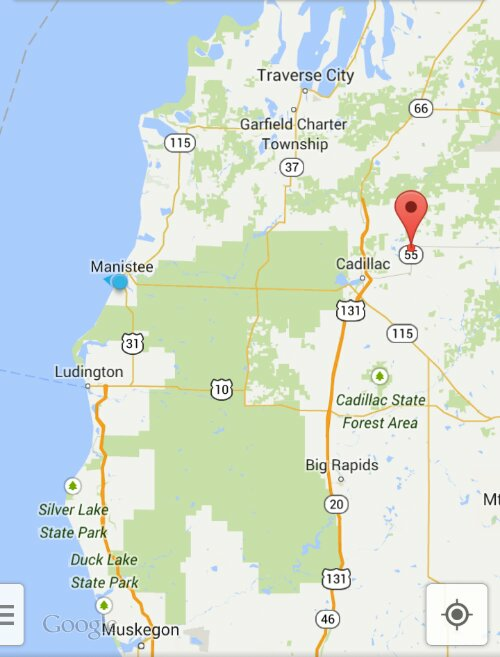 Plenty of public access on the West side of the lake. After a while the wind died and my kite dropped so I packed up. I got out again on Friday but the wind was out of the year south / southwest and gusty. The snow conditions were excellent and I still had a good time. 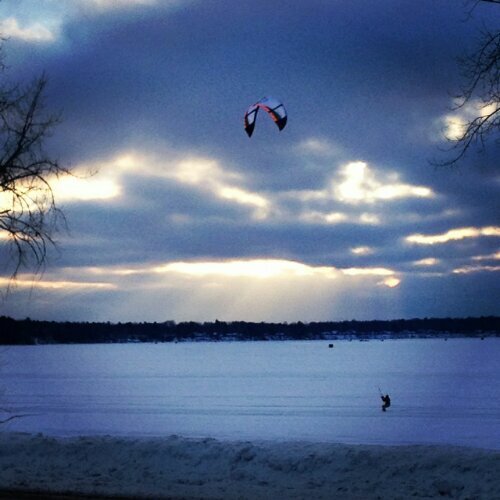 Lake City was a nice surprise and for the first time I’m really looking forward to more snowkiting this season. 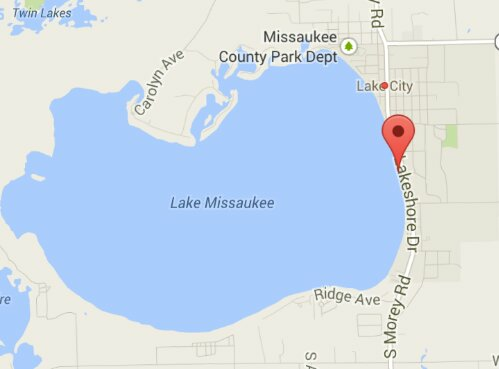 Lake City, MI, “The Greatest Fourth in the North”! Nice picture!